The way other people do life can be extremely instructional to the observant. Either on how to do it, or how not to do it. Integrity is far, far, far more important than strategy. Strategy may bring you far in what you do, but integrity is all-important in who you are. Ultimately it is who you are that adds the value to what you do. No matter how much work you have to do, or how many responsibilities you have, always make time to mix with the other team players. Plan! Don’t start your day, your week, your month, your year, without planning. Become the project manager of your own life. And remember that those plans need to take into account interruptions, changes and challenges. That’s what makes a project manager good. Even in competition, play nice. Help others, be generous with your gifts, and share. A sense of humor makes all the difference. Most especially in keeping stress at bay and perspectives balanced. Have confidence in yourself. Don’t be arrogant, but don’t second-guess yourself. If you don’t have confidence in yourself, how will others be able to? Don’t hide away your faith. If that is part of who you are, it is part of your integrity. (If it is not part of who you are, show that, too.) Integrity means ‘the whole’ – show the whole of who you are. With pride. Be very clear within yourself of your values. And then stick to them. Don’t bend to others’ expectations of you. The fastest way to lose respect – your own, and others’ – is to bend away from your values. You learn it only slowly, the way wisdom often comes: that what you pour yourself into first thing in the day, matters. The way you do it, matters. When you wake up, you rush into the day straight away, and it doesn’t work. Like weak diner coffee sloshed into a mug, you get spilled everywhere, your focus fractured … your worth diminished. And afterwards the stains on the counter and the half-drunk, greasy mug of cold leftovers tell the truth: how you have compromised yourself. You learn you cannot just slosh yourself into the day like diner coffee. There needs to be a much deeper grace present. 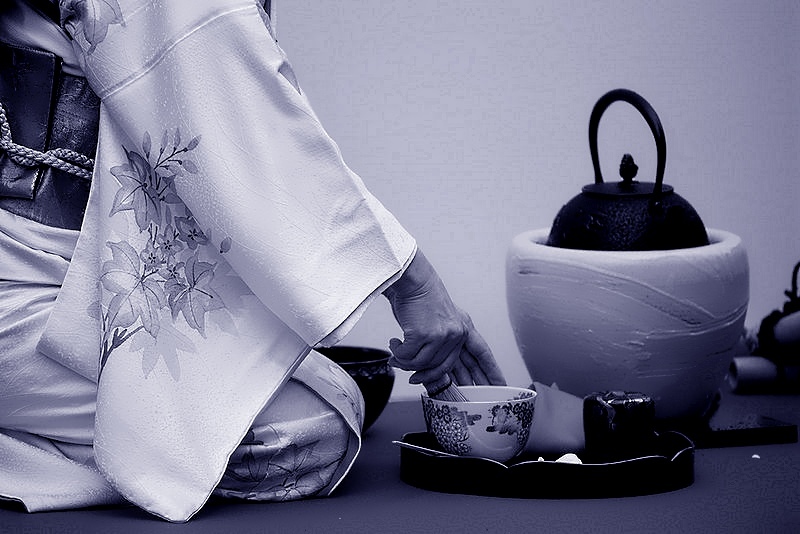 You learn to pour yourself into the day like Japanese tea … slowly, attending to every detail. First taking time for yourself and God. Infusing your strength, developing the pleasant fragrance. Carefully and beautifully planning the ritual of the day. Growing aware of the beauty and function of every action, every thing. And only then pouring yourself out carefully and lovingly, like tea. In small measures, because it is of great worth. You are of great worth. So that your sweet fragrance, your strengthening taste, may be a gift to Him, most regal and worthy of anyone how has ever visited your garden. 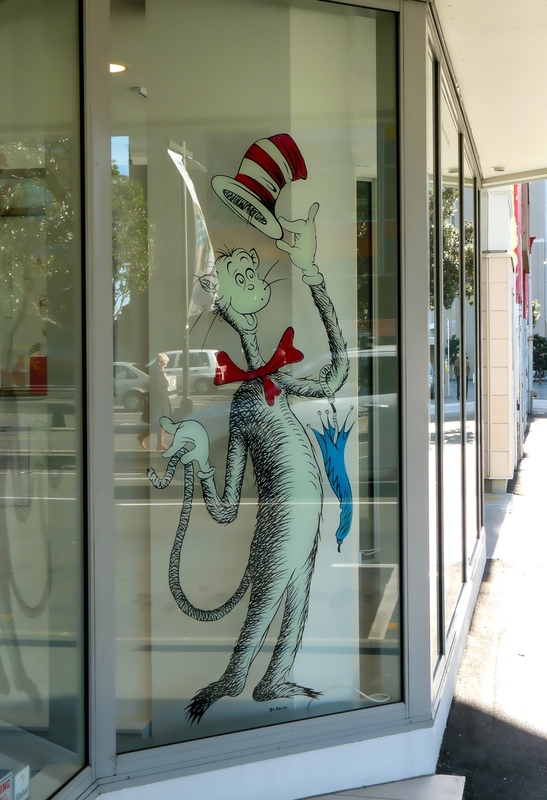 The Dr. Seuss Exhibition at the Exhibitions Gallery! You are still walking along the street when the familiar Dr. Seuss icon jumps out at you, his bright colors startling you back into awareness. Imagine that! There he is, the Cat in the Hat! You stop in amazement the first time you see this, eyes flicking to the gallery interior, taking in the familiar illustrations … and then … more adult paintings. Really? 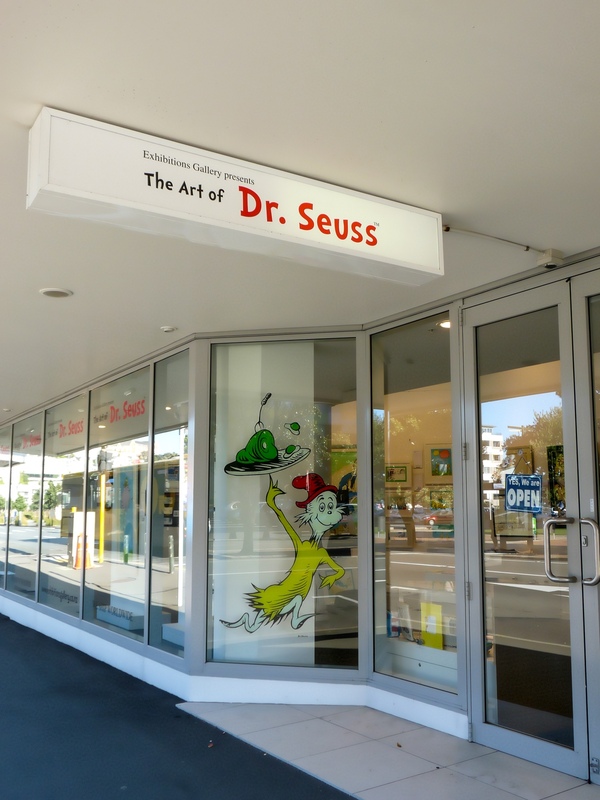 A gallery dedicated to Dr. Seuss? What a wonder! But at first you are too shy to enter. So it takes you a few months to gather up the courage to return. And this time you do enter. Reading about Theodor Geisel’s life is fascinating, especially learning what a perfectionist he was. His easygoing illustrations don’t hint at the fact that he was fastidious about his art. He was exceedingly precise about the colors he wanted to use for his children’s books, even – and perhaps especially – when only two colors were used in the printing process. Coming from German background, he originally pronounced his pen name Seuss (which is also his second name) as ‘Soiz’ rhyming with ‘voice’. He finally acceded to the now familiar English pronunciation because it rhymed with ‘Mother Goose’, which was good for the author of children’s books! The sweet lady at the counter tells you that Ted was an insomniac, and during his sleepless nights he would draw and doodle and paint for his own pleasure. The days were for his work, the evenings were for himself. And she shows you into the back room, where his secret art is exhibited … flights of fancy you have never seen before. Fascinated, you study the greater spectrum of colors he used, the wild imagination he displayed. His paintings show a mind wandering into all kinds of delightful worlds, as if he’s doodling. 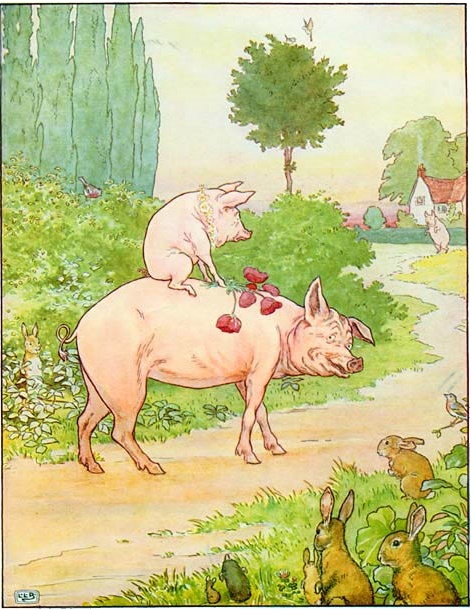 Ted’s private artworks are like visual limericks – the way authors would relax by dreaming up funny little rhymes on scraps of paper, he relaxed by letting out these fanciful creatures into strange situations, always with his tongue firmly in his cheek, it seems. Creating art is simply about playing. And so you resolve to follow in the good doctor’s footsteps and have more fun. The slow tide of darkness can creep up your shore so surreptitiously that it can leave you flailing for breath before you know it. And you are forever a shore dweller, walking between darkness and light … between fluid and solid … forever sensitive to its intertwining play … so you learn to live with an eye to the tide. Always. There are times you cannot outrun the tide and you need help. So the doctors give you life preservers. To help you rise on the flowing tide instead of sinking. To tide you over. You take them every day, little pills that buoy you up, and you are grateful for them. But no shore dweller can forever fully live with life preservers around waist and neck and arms and legs. Sooner or later you have to grow stronger and let them go, learn to negotiate the sweet, sly shore on your own again. Learn to find that magical inbetween place where the darkness of the tide and the light of the land create evanescent sparkles. The doctors say you will never be able to live without help again, that you are forever a shore dweller who will run the risk of being overrun by the sea. But He, your Beloved, says differently. He says it is time to lean on Him alone, to His glory. And so you cast off the life preservers and let them drift out to sea. Not slowly like you should really do, testing your strength, but all at once, with complete abandon. Even though the tide is rising. And so you learn what coming off citalopram hard does to you. It is not just your emotions that skitter all over the place; it is your body, too. 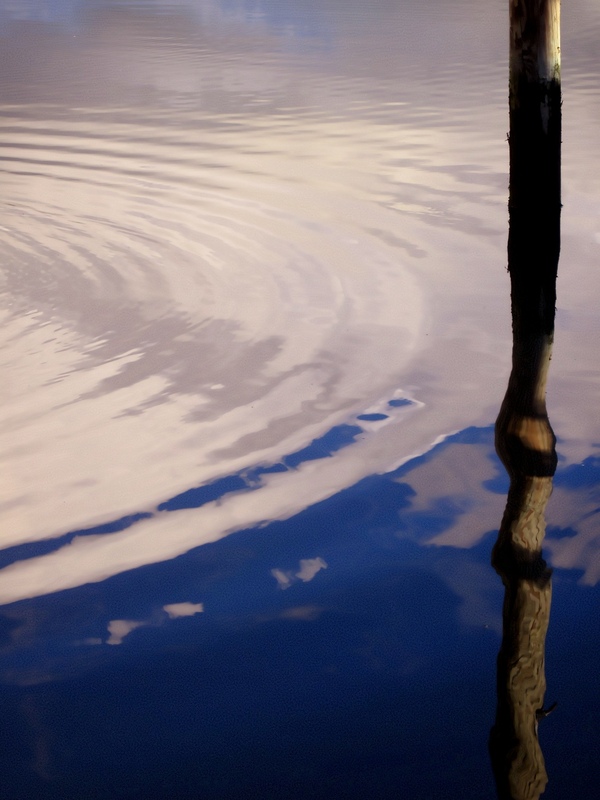 The withdrawal disorients you, leaving you dizzy and seasick and exhausted. Your mind sparks, as if short-circuiting. You can hear the sparks, feel them. Some days they spark one-two … pause … one-two. And some days they spark one-two-three-four-five. Over and over again. There is a constant, dizzy buzzing in your head. Tinnitus with the crescendos of short-circuits added. You cannot turn your head quickly, or some days, even your gaze. Those are the things which definitely work. You know once your sea legs have returned, you will start getting more active. The best way to keep the dark tide at bay is to exercise. And you learn to have immense patience with yourself. Even three and a half weeks later you still experience long spells of feeling disoriented and sick. Who knew that these life preservers could carry such poison in them? Frustration doesn’t help. Acceptance does. Who knew that you could be this strong? Casting off the floats slowly, one by one, is the more prudent way. Even returning to them if the tide rises too high and you are not ready. The sudden withdrawal can bend you badly, scare you into grasping for help again. Far better to be kind to yourself and grant yourself the time to ease into this new, unfettered life. But if you can only do it cold-turkey, and the time is right, simply trust yourself. Be strong and resolute. Lean on Him. Know there will be bad days, but they ultimately lead to good: freedom and strength! There is light on the shore, the sparkles of sunlight where water has touched the land. And the bioluminescent glow at night of magic happening in the inbetween places. Only the shore offers this magic. And you will learn to see it on your own. Because you are fearfully and wonderfully made!